If a court card coming up in a Tarot reading can present a reader with a tummy-flipping moment of panic, then interpreting a reversed court card can engender a fully-fledged head-between-the-knees (your own, silly!) brace position. But it needn’t be so! Any card coming up as a reversal is basically calling your name and telling you to pay special attention to it. Why does it need your attention? Well, because it means that the interpretation of the card won’t be straightforward. 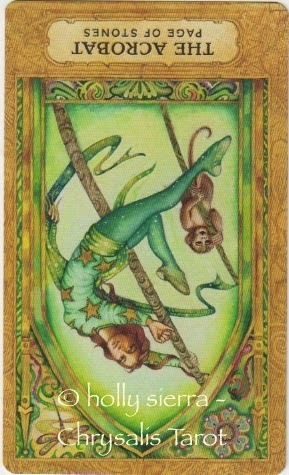 2 The message from the card is unbalanced – too much of the energy or not enough. 3 The card’s information is delayed or blocked. 4 The card’s energies are somehow perverted or twisted out of shape. With a court card you get another two options – which I think are REALLY useful. Let’s think about the elements that we tend to use in Western Tarot: Earth, Air, Fire and Water. Elementally, he is Fire of Earth. The Kingly fire partners up with the practicality of Earth and we have someone who is incredibly level-headed, got lots of practical skills, materially successful, knows what to do to Get Nice Things in life etc. Instead of Fire of Earth, he is now Earth of Fire. Gone is the maturity of the King and in its place is the Beginner Mind of the Page of Wands. So the King of Pentacles, when reversed, can mean what the Page of Wands means rightsides up. You follow? Sticking with our King of Pentacles example, we have Fire and Earth. The exact opposite element of Fire is Water and the exact opposite element for Earth is Air. So you can interpret the reversed King of Pentacles just as you would the Queen of Swords! BTW – There’s PLENTY more of this stuff in my forthcoming e-book on working with the court cards. Excited? Are you? ARE YOU?! I read the cards upright most of the time, but sometimes, depending on the cards around it, i may take it to mean it's opposite. but there are enough cards to never read them in their reverse meaning. 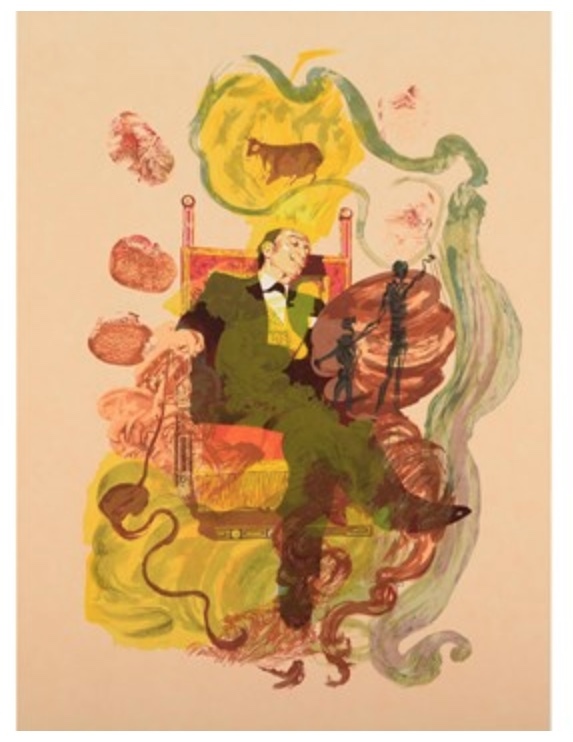 Crowley and other famous tarotists are know for not reading cards in reverse(upside down). I definitely do not like seeing any reversed cards in my spread because it does put a damper on the answers that I receive. But, I think that all of the cards have a positive and negative aspect to it. You cannot have the ying without the yang , and I sincerely believe that if reversed cards come up in your spread, it is meant to help you from doing something that is stopping you from reaching your full potential. I do like some of your other ideas though food for thought lol! This is GREAT Ali~! Inventive way of looking at Reversals, especially Court Cards! I look forward to your eBook — be sure I get a review copy, so I can interview you about it, on one of our radio shows! Looking forward to the eBook! Happy Holidays! Looking forward to the E-book! 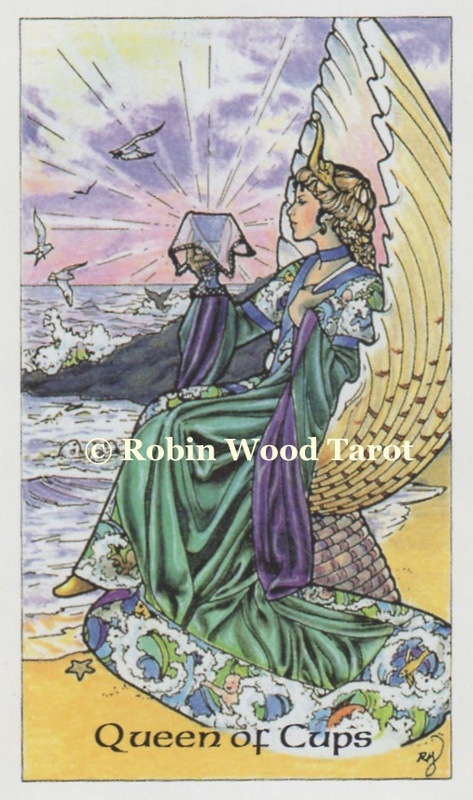 I just love the Chrysalis Tarot too! 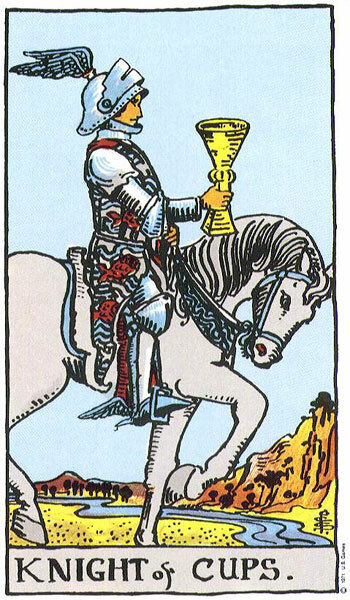 The Chrysalis Tarot has a whole separate section dedicated to the Tarot Troupe! You'll love them when you get them in your little paws, Ellen! lol! It will take me ages to finish it. I had written about 40 pages when the imac died back in April. Of course, I hadn't backed it up to the external disk drive at all. So when it died, it pretty much died with the machine. It's a mistake I won't make again!!! e-book: excited, oh, yes! And what a cool way to use the energies of the elements in the courts, reversed or not. Thanks!